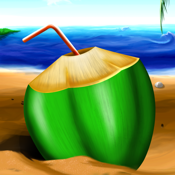 This game is taken places at beach : under a palm tree, in a picnic, near water and at the bar. So just relax and play this super graphic game with 4 levels. - Level 3 you have to find the sesshell inside the sand castle and level 4 you have to find the cherry hidden in the beach drink.